Italian Enthusiasts know that an excellent way to represent Italy is driving an Italian automobile. Aside from the Italian motor vehicle brands that only a small percentage of the world’s population can afford (such as Lamborghini, Ferrari or Maserati), the Fiat automobile remains the most dominant brand of automobile driven in Italy today, and one of the most reasonably priced. In fact, Fiat is the largest automobile manufacturer in Italy, and has been for generations. The Fiat, which possesses an intrinsic appeal due to its historical presence and importance in Italy, is in fact a symbol of Italy. A humble, yet stylish automobile, the Fiat’s boom in Italy led to a period of great economic growth in the 1950s and 1960s. 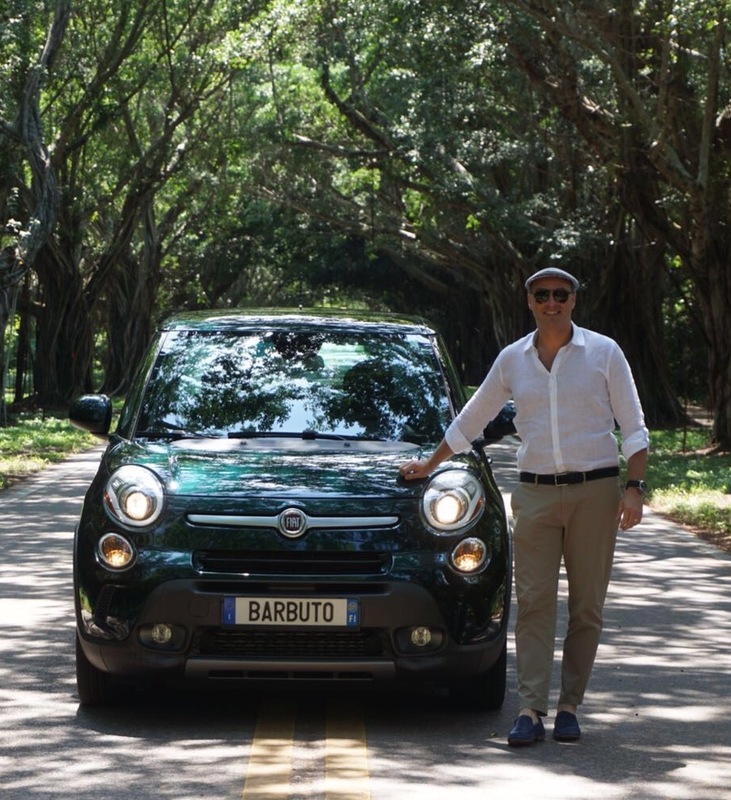 The car represents Italian culture and is synonymous with the easy going dolce vita lifestyle. There is a club in Italy called the Fiat 500 Club Italia, and its purpose is to promote and enhance the historic Fiat 500 model in its valence of social phenomenon and lifestyle. 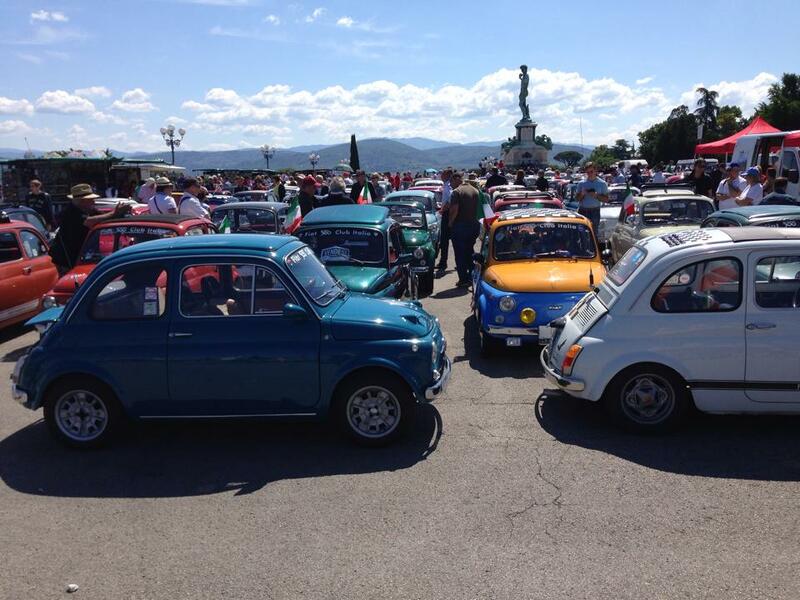 Each year, the club holds approximately 250 gatherings where historic Fiat 500 owners congregate to display their vehicles to the public and drive through the Italian cities. In June of 2014 I participated in a gathering in Florence where I drove with my Roman friend, Carlo, in his historic Fiat 500 through the city center with over 100 other Fiat 500 automobiles. We paraded through Florence, receiving nothing but admiration and reverence from the locals who saluted the Fiat as if they were pledging allegiance to the Italian flag. Shortly thereafter, I became a proud owner of a 2014 Fiat 500L in Florida. The 500L, while quite larger than the historic Fiat 500, remains an everlasting symbol if Italy. After all, the 500L is the car the Pope chose for his first ride when he arrived in the United States in September of 2015.